This is a vintage print by famous pop artist Peter Max. 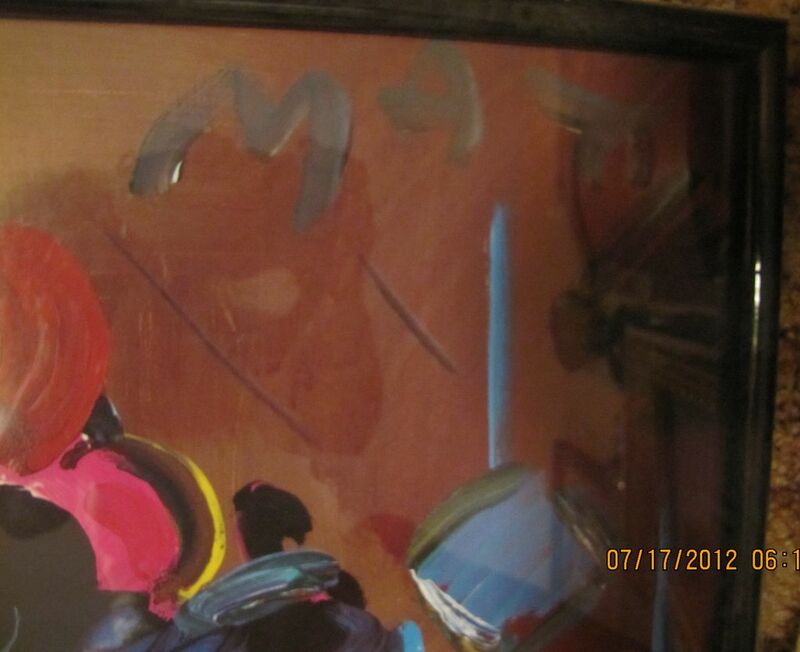 It is framed and protected by glass and measures a large 33" in height by 22" wide. Please ignore the date mark, this is from my camera. 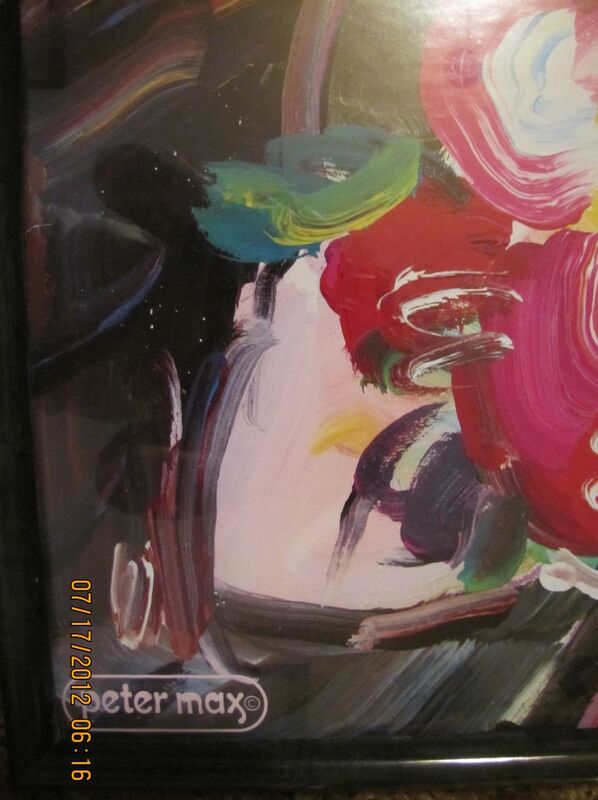 There is a Peter Max copyright mark on bottomright and a Max signature on upper right. I believe the title is Brown Lady. 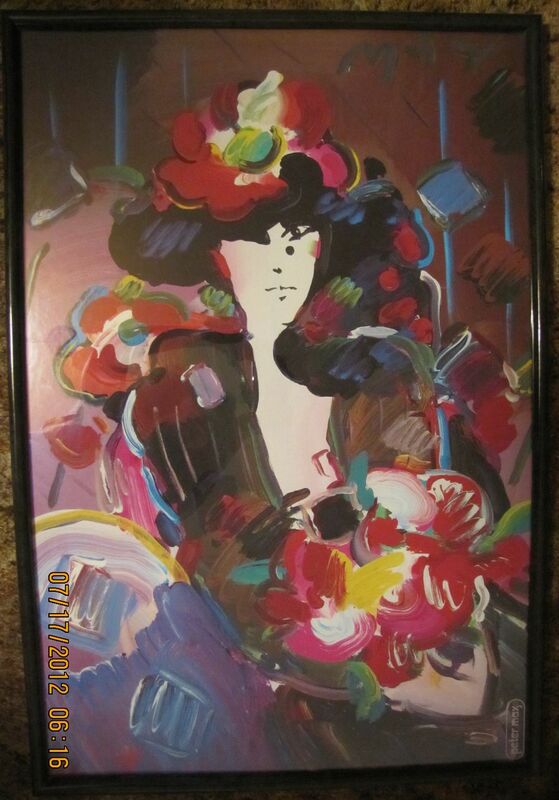 The colors are very vibrant and it is in good condition. This is an estate find.